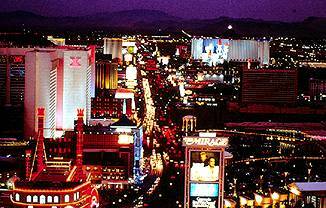 There are over 15 nightclubs in Las Vegas. Some are stand alone venues, some are associated with resorts and some are located in local off-strip hotels. The following are some of our favorite. The prices, hours of operation and admission policies are subject to change. Baby's (Hard Rock Hotel) From disco to trance, this European-style club is for the very young and young at heart. Open Thursday through Saturday from 11 p.m. Cover: $15 for men, free for women. 702-693-5555. C2K (The Venetian) The showroom at C2K becomes a multi-level nightclub late at night. Recently reopened under new management, the club is working ro re-establish its clietele. Open seven nights, 11 p.m. until dawn. Cover $10 for men, $5 for women. 702-733-5000. Club Rio (Rio All-Suites Casino Resort) A big-city disco, Top-40 music and lots of the young and beautiful highlight Club Rio. Open Wednesday through Satuirday from 10:30 p.m. Cover: $10 for men, $5 for women. 702-247-7977. Drao's After Hours (Barbary Coast) This is the class of its class, located in the Barbary Coast's elegant restaurant. Open Wednesday, Friday, Saturday and the first Sunday of the month, 2 a.m. until dawn. Cover: $20. 702-737-0555. Drink and Eat Too (Fashion Show Mall) This club is a favorite with conventioneers and tourists, featuring Latin, techno and Top-40 music. Open Saturday only from 10 p.m. Cover: $20 for men, $10 for women. 702-796-5519. House of Blue (Mandalay Bay) It's the place to be on Sundays. Open nightly with theme nights. Thursday through Sunday. Cover $10 to $15, depending on the night. 702-632-7607. The NightClub (Las Vegas Hilton) The showroom currently features the Fab Four for $23 per person. But after the show, the dancing starts at around 10 p.m. Open nightly. Cover: free after the show. 702-732-5422. RA (Luxor) The dress code is serious -- "fashioable attire only," whatever that means. The music is techno, trance and Top-40. Open Wednesday through Saturday from 10 p.m. Cover; depends on the event and the weekend; free for Luxor hotel guests on weekdays before midnight. 702-262-4000. Rumjungle (Mandalay Bay) The music features Latin, Caribbean and African beats plus the city's largest supply of rum. Open Thursday through Sunday from 11 p.m. Cover: $20. 702-632-7408. Studio 54 (MGM Grand) A remake of it's New York namesake, Studio 54 spins '70s and '80s tunes early in the evening and segues to progressive beats later in the nights. Open Tuesday through Saturday from 10 p.m. Cover: $10 for men Tuesday through Thursday, $20 Friday and Saturday; free for women. 702-891-7252.